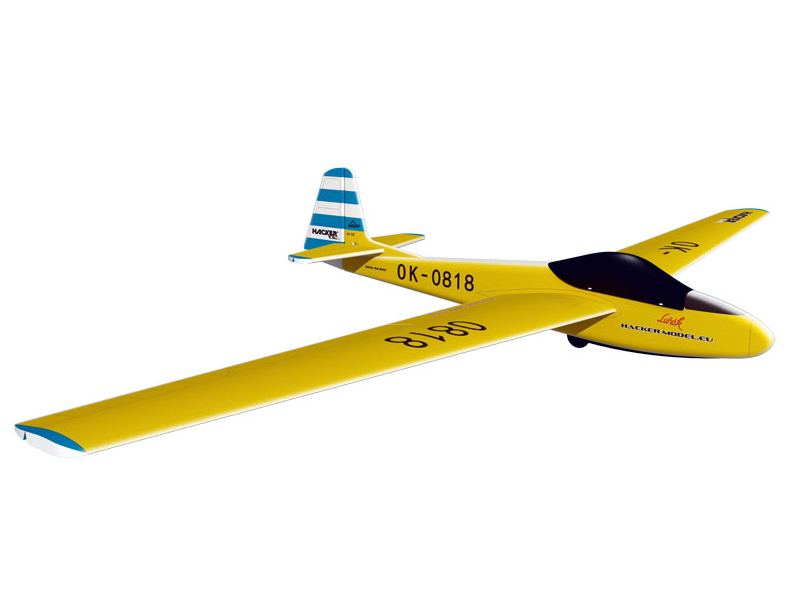 Semi-scale known glider in several attractive colors with full-color full printing all main parts. 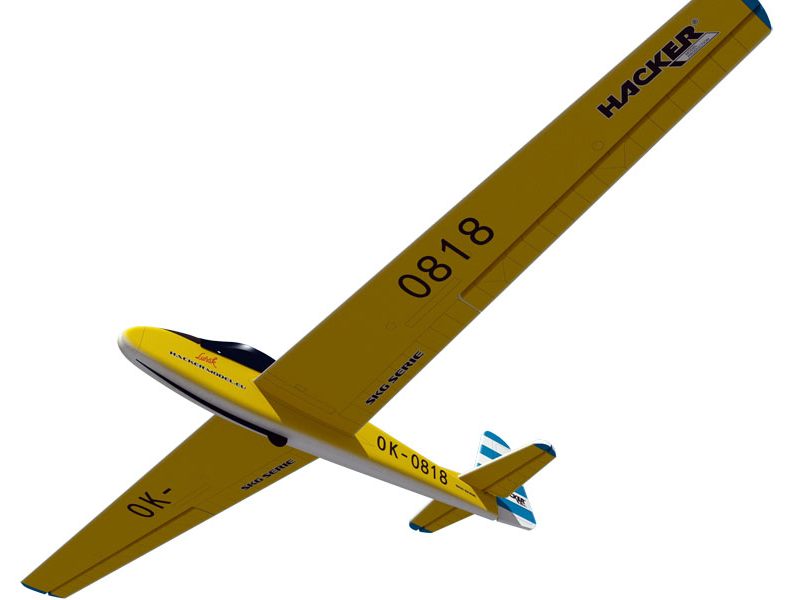 The glider is part of a series of models SKG (simple known gliders) from Hacker Model Production. 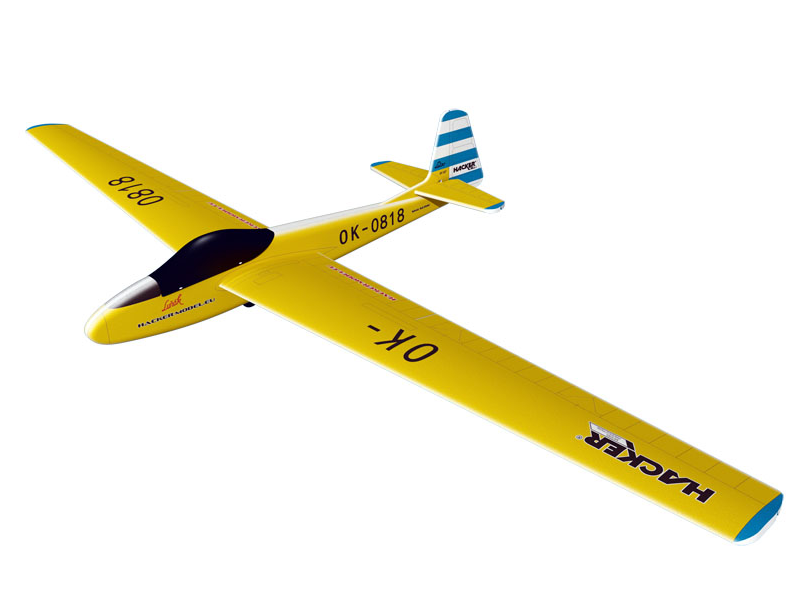 Strong, lightweight and durable construction of expanded polypropylene (EPP) contributes to the excellent flight characteristics and is also a guarantee of great resistance model for minor accidents. 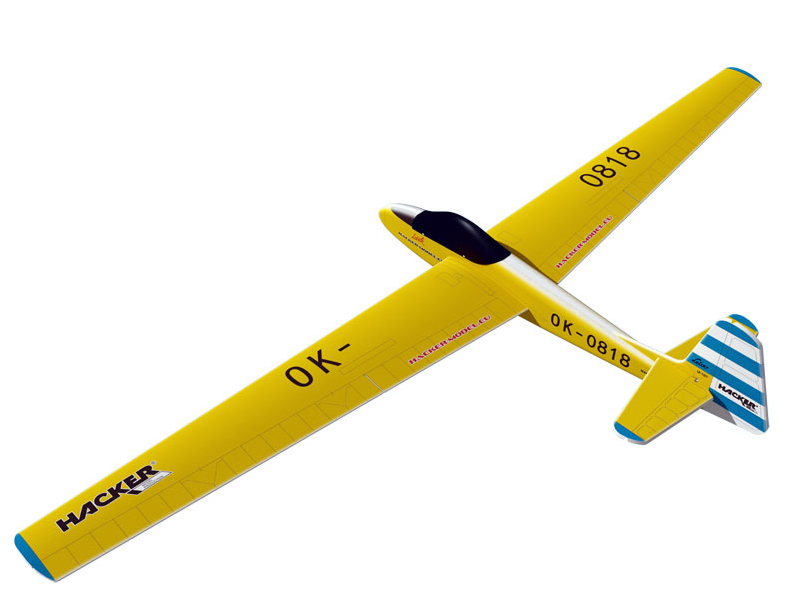 The model can fly on a slope or be fitted with a switchable tow hook switchable for aerotowing and lifts it with Master Stick. Items needed to complete: 4 channel RC set, 4-5 microservos 9g No. 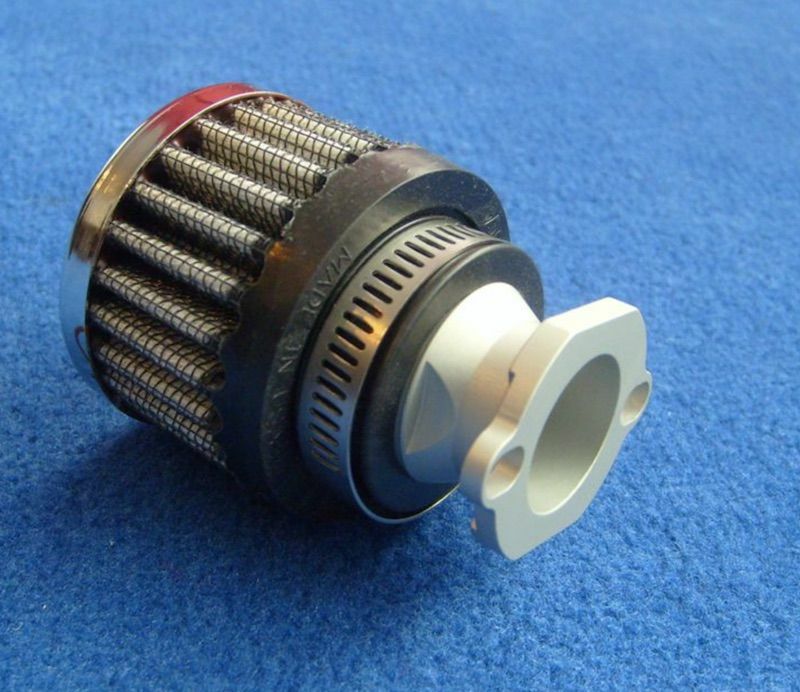 HC4301 (one servo for switchable tow hook No. HC5117A), receiver battery, basic tools and thin CA with activator.